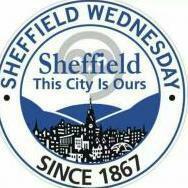 Interests: Sheffield Wednesday fan ... someone has to be! @Gorka extends his lead at the top, moving 4 clear now. There are 5 PL games next weekend, so we'll predict those before the International break. I'll get them posted in the morning. @Gorka holds on to top spot, but only leads me by a couple of points. No predictions next weekend due to the Internationals. Worked both ways for me. The one got me the 3pts, the other cost me 2.